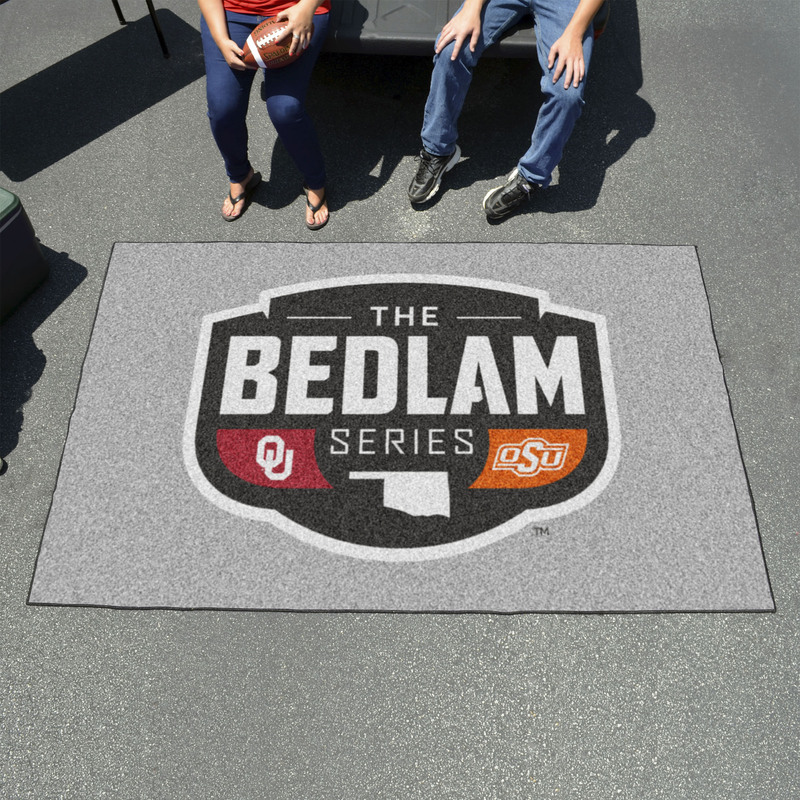 This OSU vs OU Football rivalry logo Outdoor Ulti-Mat is manufactured right here in USA with quality and high standards in mind. This Ulti-Mat mat is constructed with densely packed crushed nylon carpet fibers and a recycled non-skid vinyl backing. That gives it a rugged grip wherever it is placed. The crushed nylon carpet fibers are specifically design for outdoor use and to feel more like a mat surface than a plush surface. 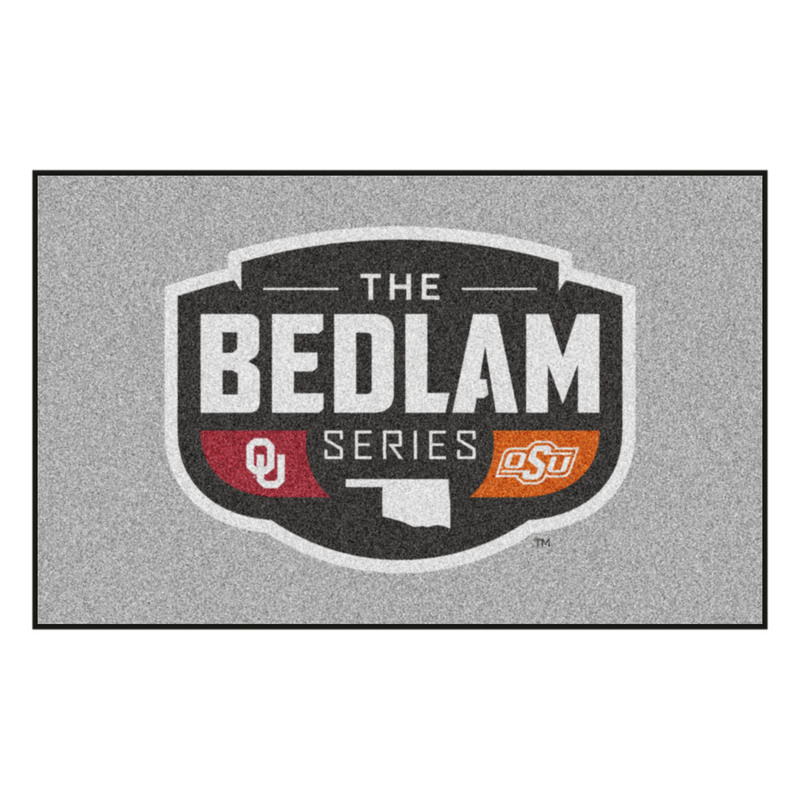 This OSU vs OU Football rivalry logo Outdoor Ulti-Mat has actual dimensions of 60" x 96" and is made with nylon carpet fibers which won't become threadbare. Please visit our Cleaning & Care Page for how to care for your new Sports Ulti-mat.